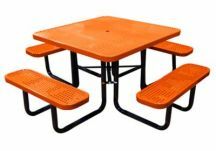 Showing: 1-40 of 77 Items. 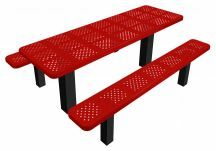 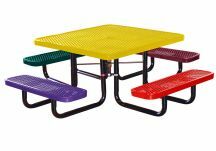 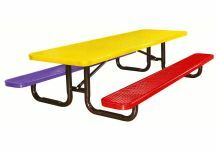 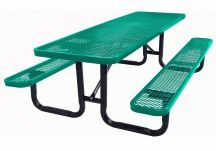 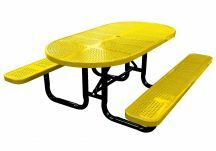 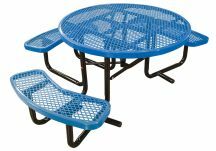 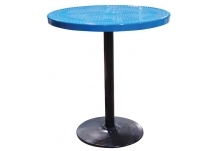 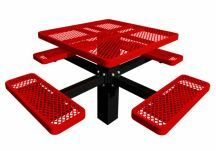 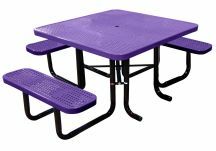 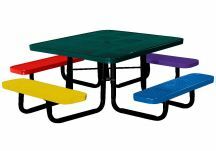 Metal picnic tables with thermoplastic coatings are extremely popular for commercial applications because they provide maintenance-free options with superior durability. 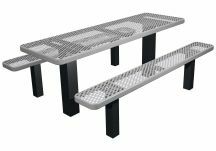 Expanded metal and perforated styles can be cleaned with ease. 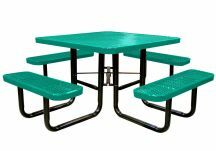 Our steel picnic tables are protected with an environmentally-friendly thermoplastic coating to allow for many years of use. 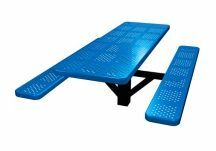 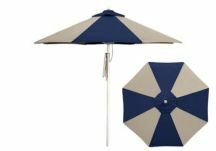 The thermoplastic coating protects the metal from corrosive outdoor conditions and is resistant to fading, cracking, peeling, warping, or discoloring. 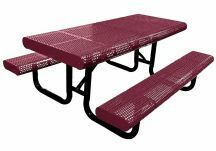 Metal picnic tables with thermoplastic coating are considered the best choice for public spaces that are prone to excessive misuse or even vandalism. 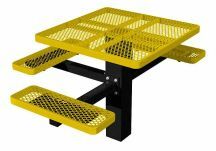 Spray paint graffiti can be easily cleaned with WD-40. 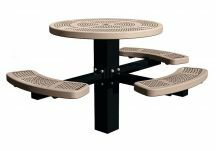 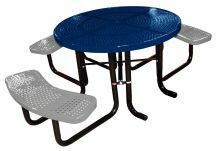 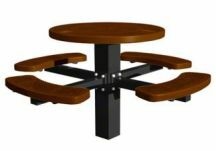 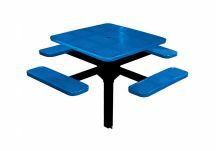 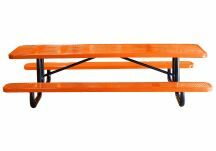 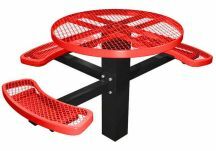 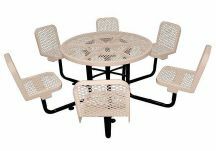 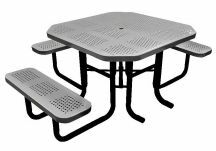 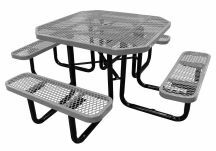 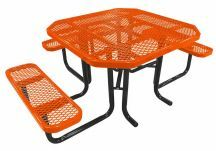 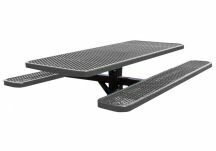 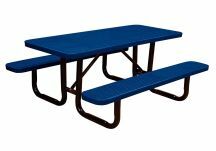 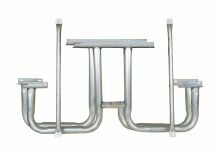 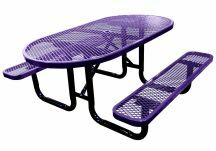 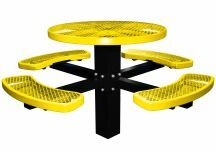 Many of our metal picnic tables are available in 3 mounting options: surface-mounted, in-ground, or portable. 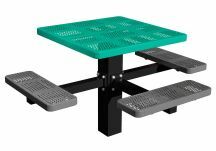 A black powder-coated galvanized steel under-structure adds protection and support to the picnic table frame. 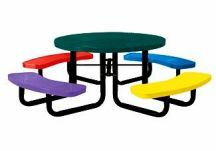 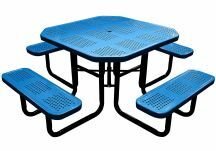 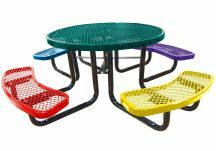 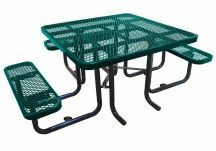 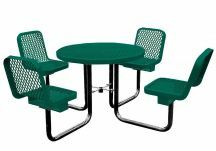 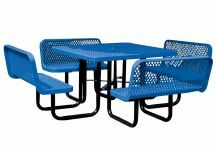 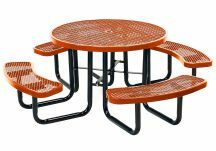 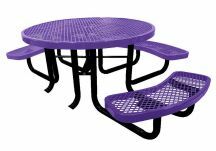 Offered in multiple styles and sizes, our commercial steel picnic tables come in multiple color options as well as ADA capabilities.